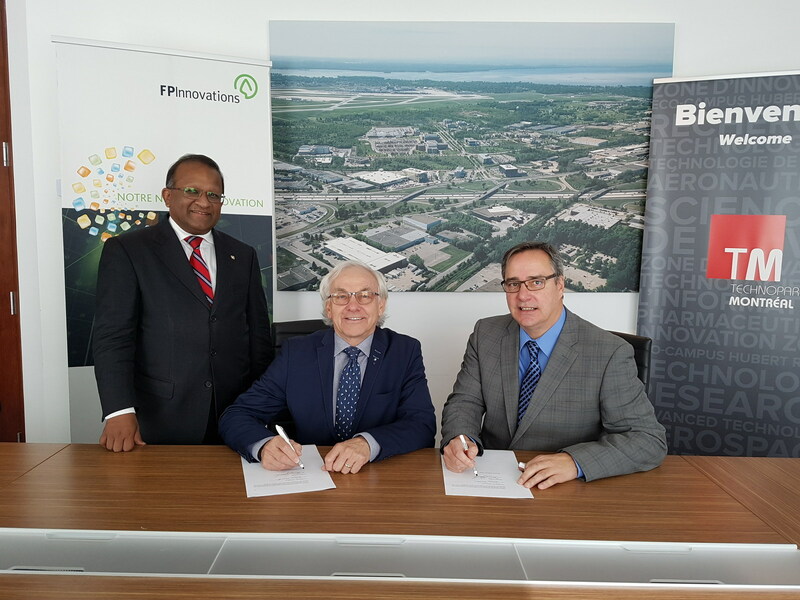 MONTREAL – FPInnovations has taken the first step toward building an integrated international biomaterials innovation centre under FPInnovations’ leadership in Montreal. The research organization has purchased land totaling more than 360,000 square feet (33,400 square meters) for the future biomaterials centre at the Technoparc de Montréal. Technoparc Montreal is a non-profit organization that offers environments and real estate solutions fostering innovation, collaboration and success to technology businesses and entrepreneurs.